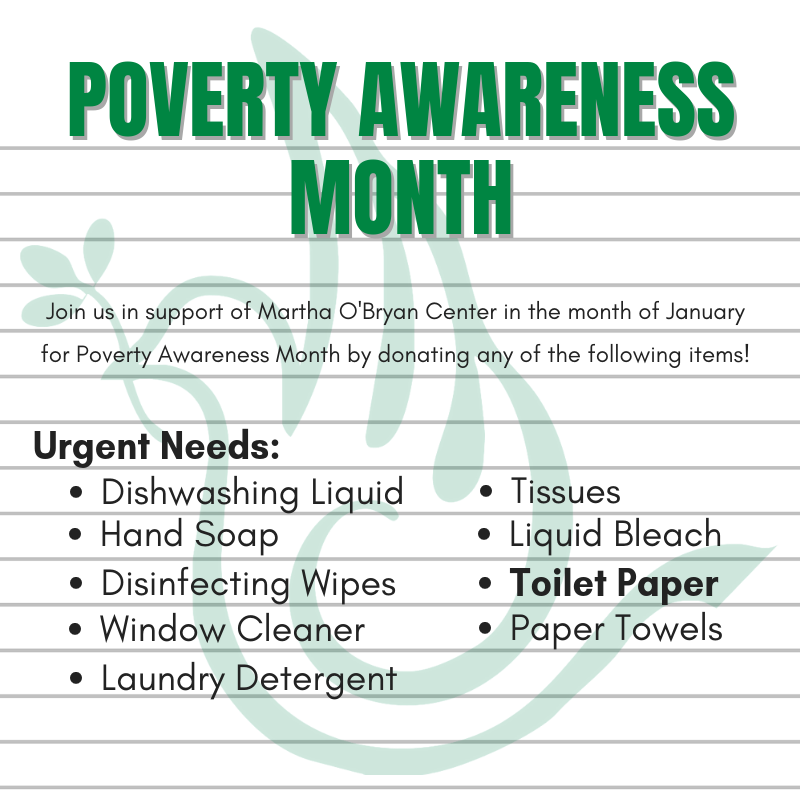 Our East location has been participating in Poverty Awareness Month with the Martha O’Bryan Center. You can see from the listed items in the graphic below what’s needed and you can still bring any of those items to our East location listed below to participate and drop them off. Just bring them before the end of January and we’ll be all set!